IGFA Record 16 Ft 800 Lbs White saw fish cough 3 miles off shore between Lover's Key and Sanibel Island. Caught by Captain James Fricke from Local Island Charters. The copper shark, bronze whaler, or narrowtooth shark (Carcharhinus brachyurus) is a species of requiem shark, family Carcharhinidae, and the only member of its genus found mostly at temperate latitudes. It is distributed in a number of separate populations in the northeastern and southwestern Atlantic, off southern Africa, in the northwestern and eastern Pacific, and around Australia and New Zealand, with scattered reports from equatorial regions. This species can be found from brackish rivers and estuaries, to shallow bays and harbors, to offshore waters 100 m (330 ft) deep or more. Females are found apart from males for most of the year, and conduct seasonal migrations. A large species reaching 3.3 m (11 ft) long, the copper shark is difficult to distinguish from other large requiem sharks. It is characterized by its narrow, hook-shaped upper teeth, lack of a prominent ridge between the dorsal fins, and plain bronze coloration. Amberjack is an Atlantic and Pacific fish of the Carangidae family (genus Seriola). They are a game fish, most often found in the warmer parts of ocean. 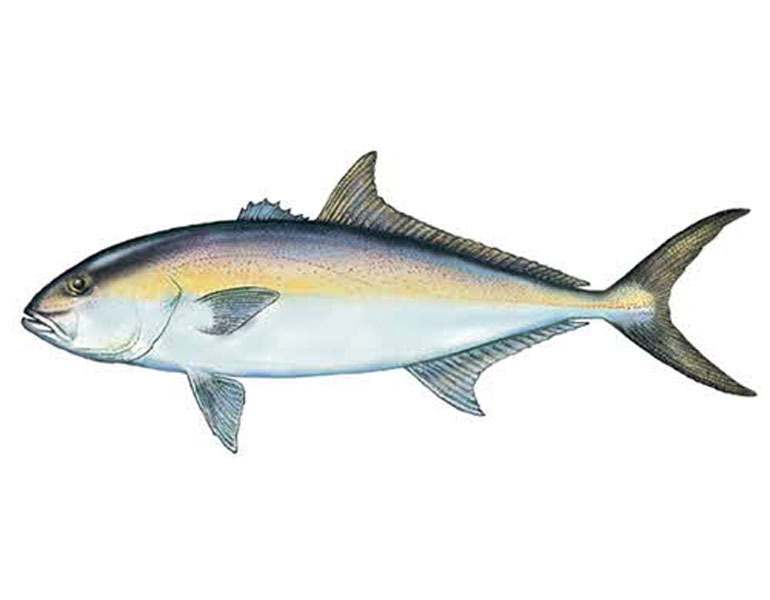 There are many types of amberjacks, including greater amberjacks (Atlantic), lesser amberjacks (Atlantic), Almaco jack (Pacific), yellowtail (Pacific), and the banded rudderfish (Atlantic). 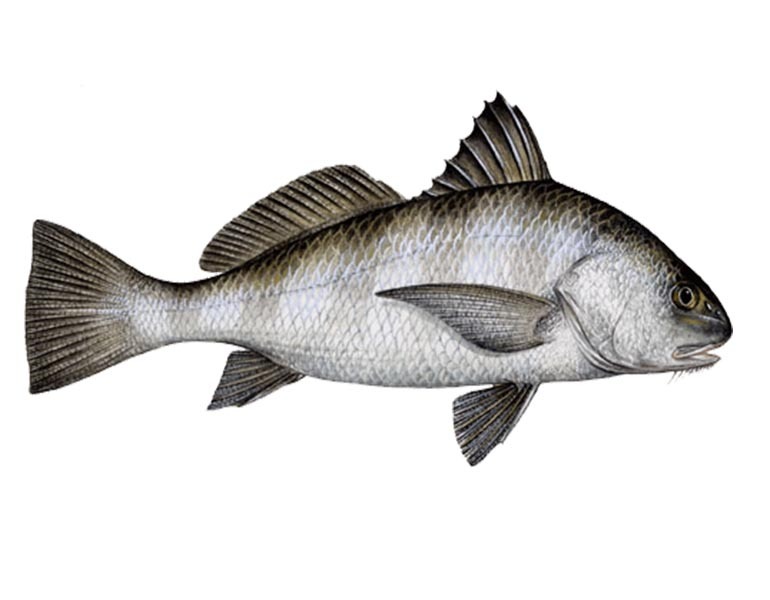 he black drum (Pogonias cromis), also known as "Blue Drum" for its dark and hint of blue color, is a saltwater fish similar to its cousin, the red drum. It is the only species in the genus Pogonias. Though most specimens are generally found in the 5-30 lb (2–14 kg) range, the black drum is well known as the largest of all the drum family with some specimens reaching excesses of 90 lb (40 kg). 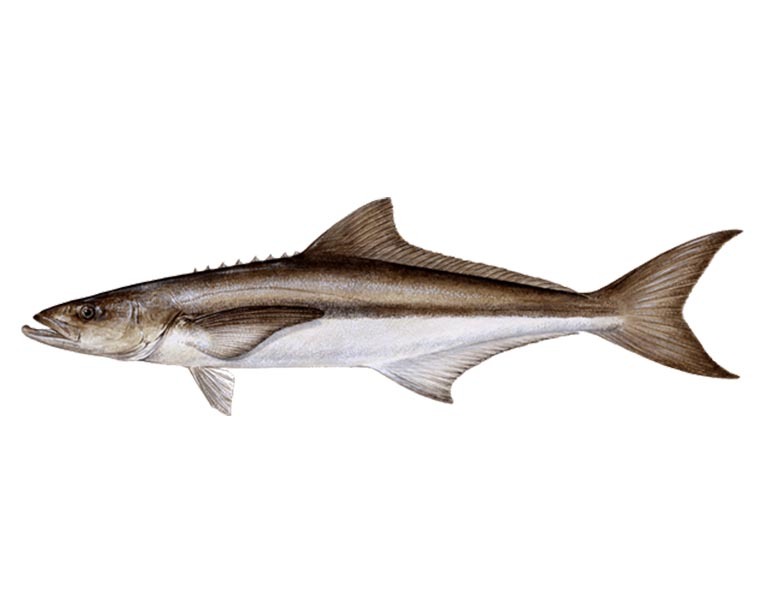 Attaining a maximum length of 2 m (78 in) and maximum weight of 78 kg (172 lb), the cobia has an elongated fusiform (spindle-shaped) body and a broad, flattened head. The eyes are small and the lower jaw projects slightly past the upper. Fibrous villiform teeth line the jaws, the tongue, and the roof of the mouth. 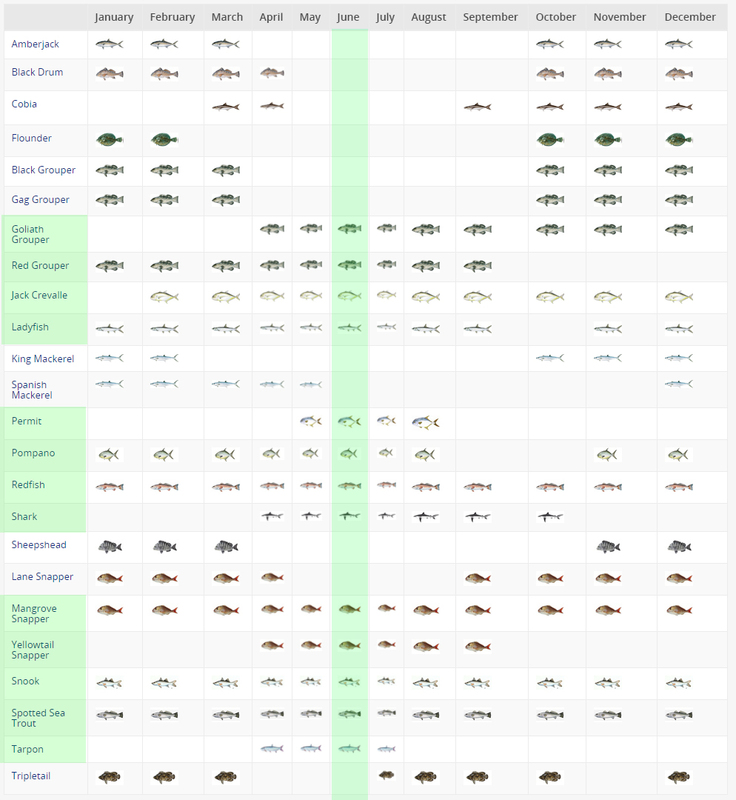 The body of the fish is smooth with small scales. It is dark brown in color, grading to white on the belly with two darker brown horizontal bands on the flanks. 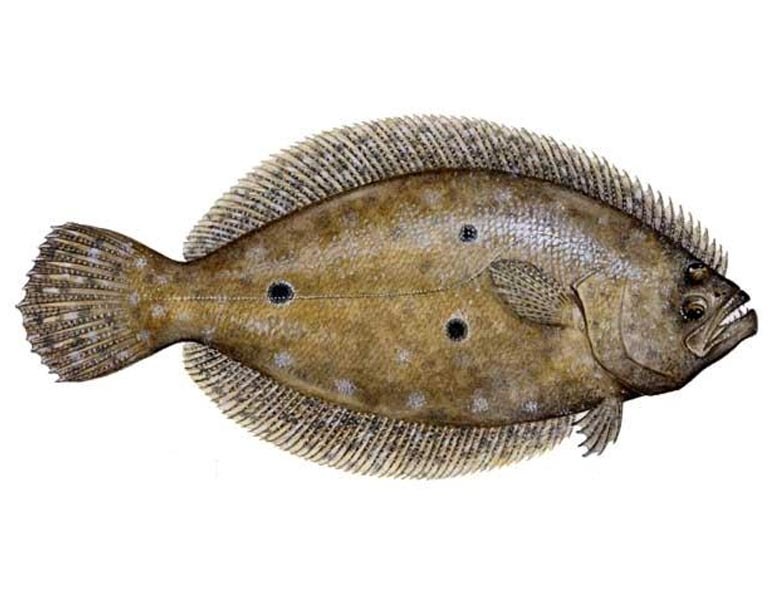 Flounders are a group of flatfish species. They are demersal fish found at the bottom of oceans around the world; some species will also enter estuaries. The red grouper (Epinephelus morio) is a species of fish in the Family Serranidae. 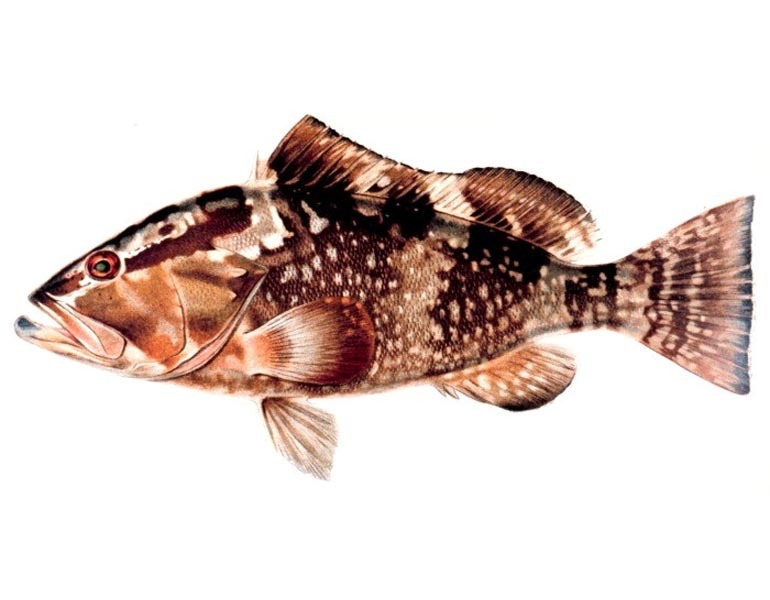 The red grouper's typical range is coastal areas in the western Atlantic, stretching from southern Brazil to North Carolina in the US and including the Gulf of Mexico. This demersal, largely sedentary species has an extended (~40 day) pelagic larval stage before it settles in shallow coastal hardbottom habitat as juveniles. They remain in inshore waters for 4–5 years before migrating to offshore hardbottom habitat—particularly on the edge of the continental self—as adults. 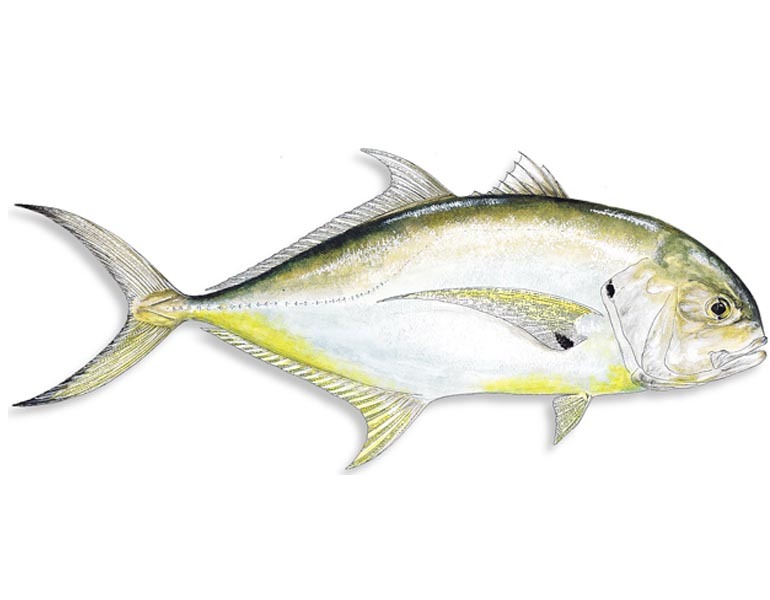 The crevalle jack, Caranx hippos (also known as the common jack, black-tailed trevally, couvalli jack, black cavalli, jack crevale and yellow cavalli) is a common species of large marine fish classified within the jack family, Carangidae. The crevalle jack is distributed across the tropical and temperate waters of the Atlantic Ocean, ranging from Nova Scotia, Canada to Uruguay in the west Atlantic and Portugal to Angola in the east Atlantic, including the Mediterranean Sea. It is distinguishable from similar species by its deep body, fin colouration and a host of more detailed anatomical features, including fin ray and lateral line scale counts. 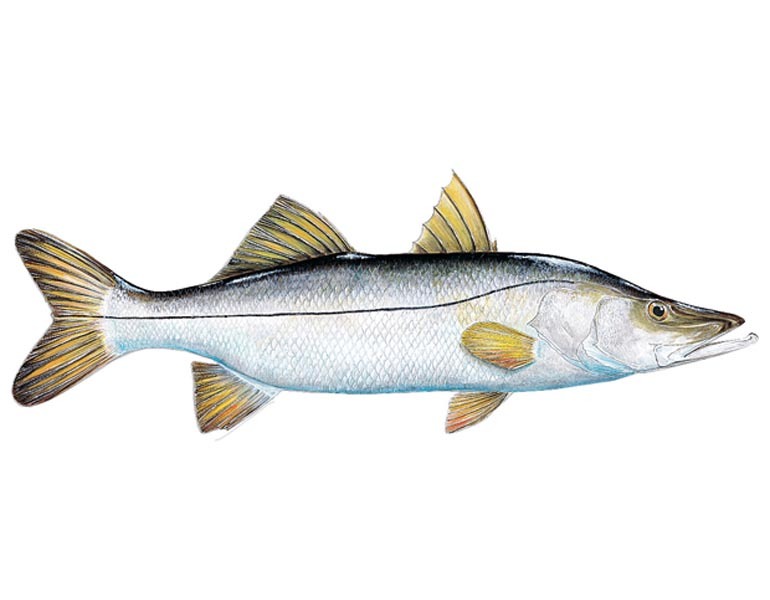 The ladyfish are a coastal-dwelling fish found throughout the tropical and subtropical regions, occasionally venturing into temperate waters. 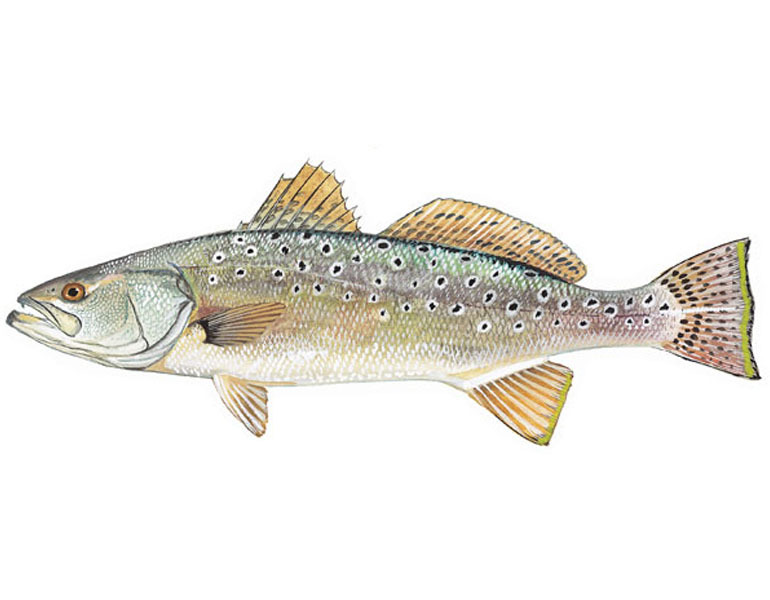 Spawning takes place at sea, and the fish larvae migrate inland entering brackish waters. Their food is smaller fish and crustaceans (shrimp).